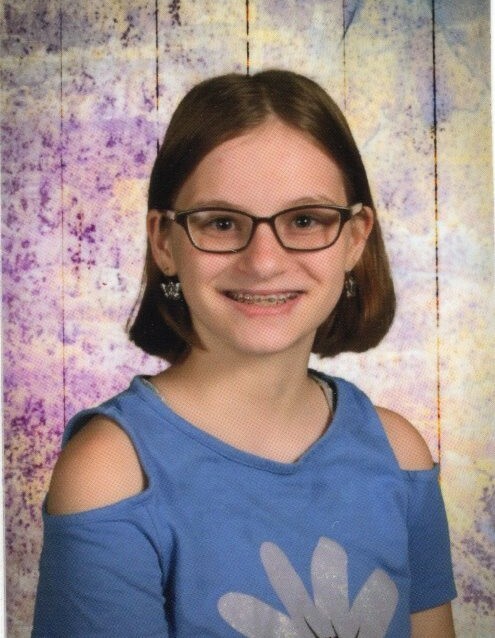 Obituary for Olivia L. Progl | Sorge Funeral Home Inc.
Olivia L. Progl, 13, New Alexandria, passed away Wednesday at UPMC Children’s Hospital, Pittsburgh. Surviving are her parents of New Alexandria; a brother, Joseph P. at home; her grandparents: Paul L. Breon of Hollidyasburg, David G. Ehgartner and wife, Helen, of Altoona, and Paula Progl of Altoona; her great-grandmother, Doris Progl of Altoona; and many aunts, uncles and cousins. She was preceded in death by her grandmother, Margaret A. Ehgartner; her grandfather, Joseph J. Progl; and her grandmother, Lois L. Breon. Olivia attended Derry Area Middle School and was in the Leadership Training Program at Outdoor Odyssey. She attended Bethany United Methodist Church, Latrobe. She enjoyed caring for her pets, especially her beloved dog, Kacie. Olivia also liked playing video games, music, math and her friends. Friends will be received from 2:00 to 5:00 p.m. Sunday, February 3, 2019, at Sorge Funeral Home Inc., Hollidaysburg, where a funeral service will be held at 5:00 p.m. Sunday, Pastor Jonathan J. Fehl officiating. Interment will be at Calvary Cemetery. In lieu of flowers, please make memorial donations to Mending Hearts Animal Rescue, P.O. Box 97, Hollidaysburg, PA 16648.